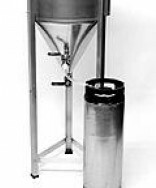 Fourteen and a half gallon conical fermenter 'Fermenator' by Blichmann Engineering. The ultimate in durability and quality. Buy now! Conical Fermentor 'Fermenator' by Blichmann Engineering. 14.5 gallon capacity. 100% stainless steel. 100% weld-free interior.  No more racking, dump trub and take samples with ease and harvest yeast. Simple to sanitize. Will not scratch. Weldless interior, removable fittings, stainless steel lid, bottom dump valve, rotating racking arm, low profile design, 90 deg bottom dump elbow, sealable lid and carrying handle are all standard. Optional bolt on leg extensions available. The ultimate in durability and quality. Drop shipped direct from the manufacturer. * This item is sold at the minimum advertised price and is not subject to the 5% discount.